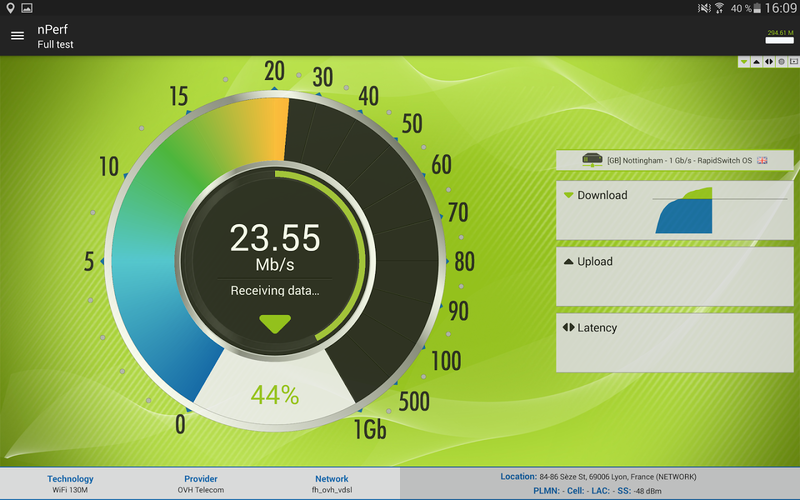 If you’re anything like me, you like to check the speed of your internet connection on a semi-regular basis. It’s sad that we need to check if our internet provider is telling the truth about the speeds we should be getting, but it’s an unfortunate truth. Up until now, the app I’ve had on my phone to use this is Speedtest by Ookla, however I think nPerf has won me over, and I have a new go-to speed test app. 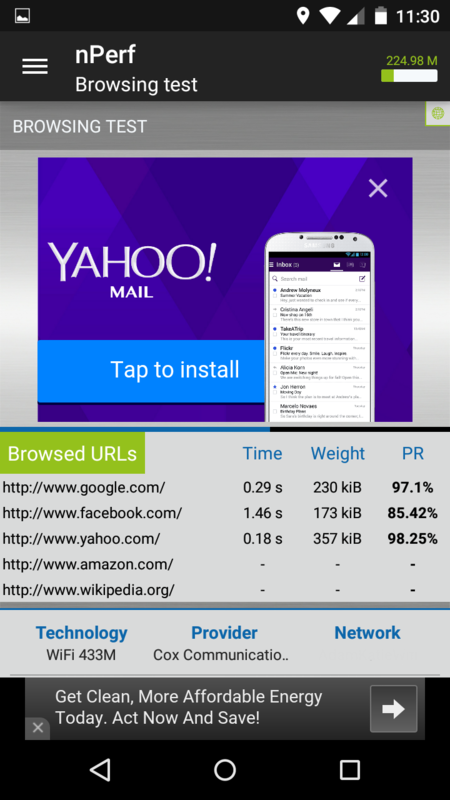 nPerf (despite its somewhat peculiar name) is a well-designed app. I feel as though recently apps I’ve reviewed have lacked in this area, but this is not the case with nPerf. When you open the app, you’re met with the above screen. 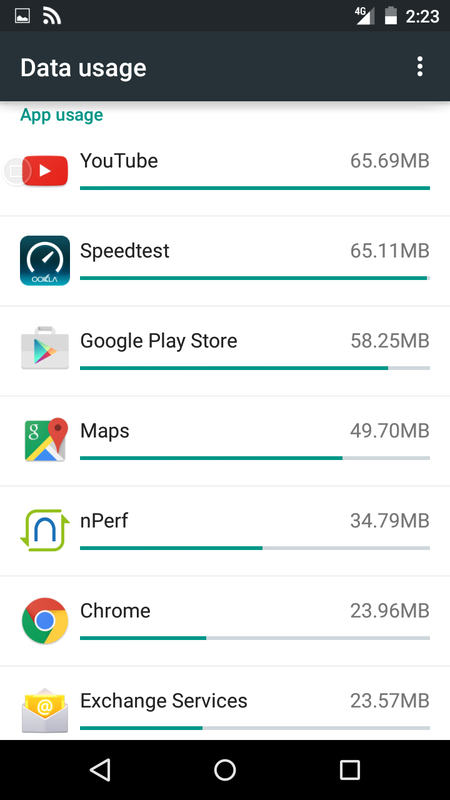 nPerf follows some of the Material Design guidelines given by Google, but still manages to make it different. The blue line in the inner circle spins around. There’s also a slide-out menu (hence the hamburger icon in the top-left). When a test is running, you have some simple but neat animations, making it all look very technological and advanced. While there are quite a few speed test apps out there to choose from, nPerf seeks to be unique in a couple of different ways. 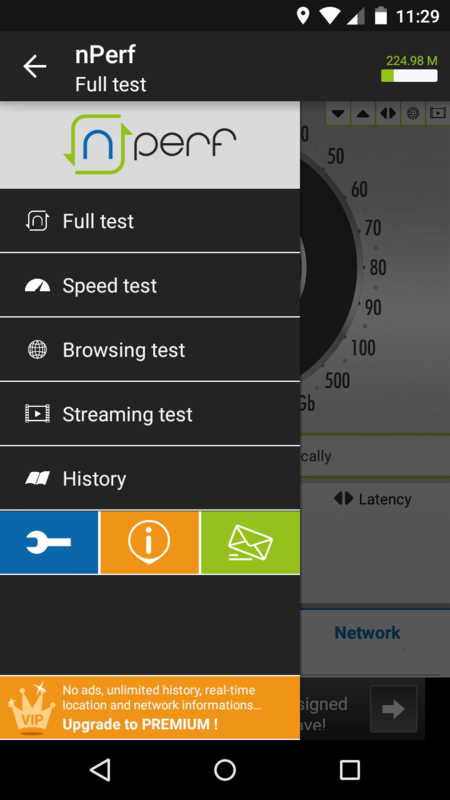 First, it doesn’t just offer a speed test in terms of Mb/s (Megabytes per second), but also tests in practical ways, with its browser test and its streaming test. The browser test brings up 5 different web pages, and times how long it took and how much data it used to load the page. Based on those values, it assigns it a percentage of performance compared to other values gathered on similar technologies. 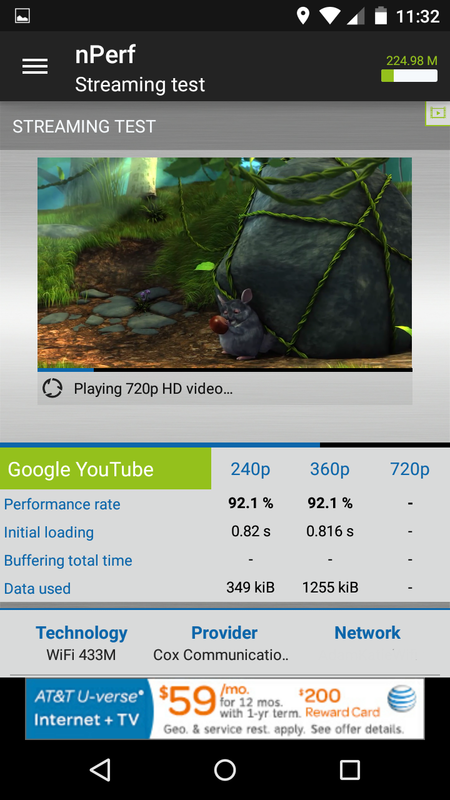 The streaming test plays a video in three different resolutions (240p, 360p, and 720p) and tests how well it streams, how long it takes for the video to load initially, if there’s any buffering time, and how much data it took to stream the video. Then, if averages the percentage of the performance and presents you a number. If you want to run a speed test, streaming test, and browser test, you can run a full test which will do all three, and present to you the values. The next thing nPerf does to make itself different, is it seeks to use less data to run a speed test than other speed test apps. After running a test on Speedtest by Ookla, and then just a speed test on nPerf, I can affirm that this is true. See the image below. Another cool feature is the way you share your test results. When you go to share your results, you get a mini version of what you would normally see in the app, so you can see all the info without having to take a screenshot, and without it being a really big picture. See one of these images below. 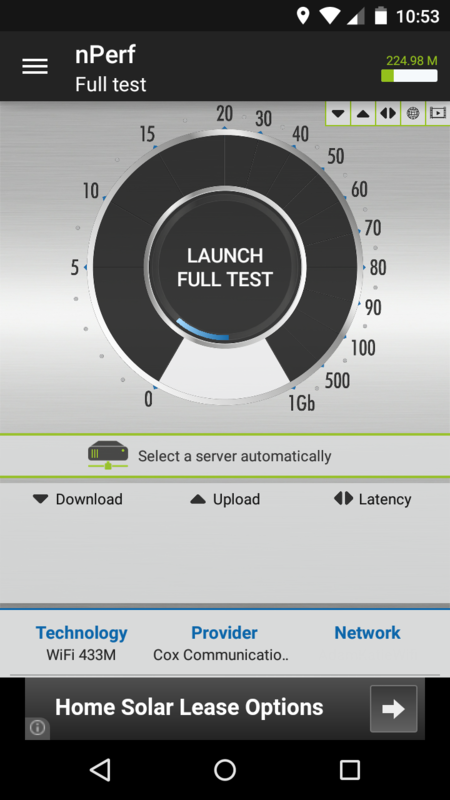 nPerf seeks to stand out in a crowd of speed test apps, and it does so well. Not only does it provide a different way to test your internet connection, but it does so with less data. Furthermore, the app performs well, being quick with all of its tests, and the app itself has good responsiveness. I have to admit, I didn’t know what to expect with this app, but I think I have found a replacement for my other speed test app. This app gets _ stars.